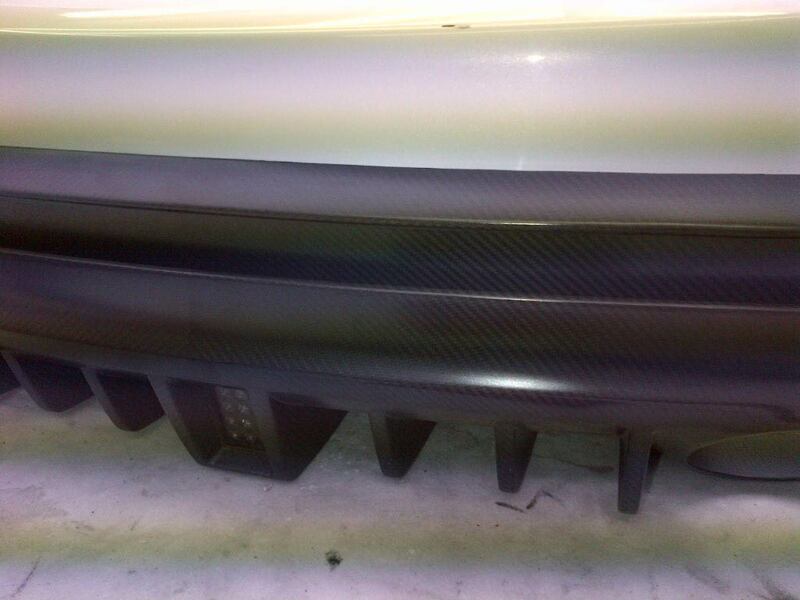 Reverie recently carried out a difficult cosmetic repair with no mould tools available to a rear bumper and diffuser from a limited edition Infiniti Vettle Fx. 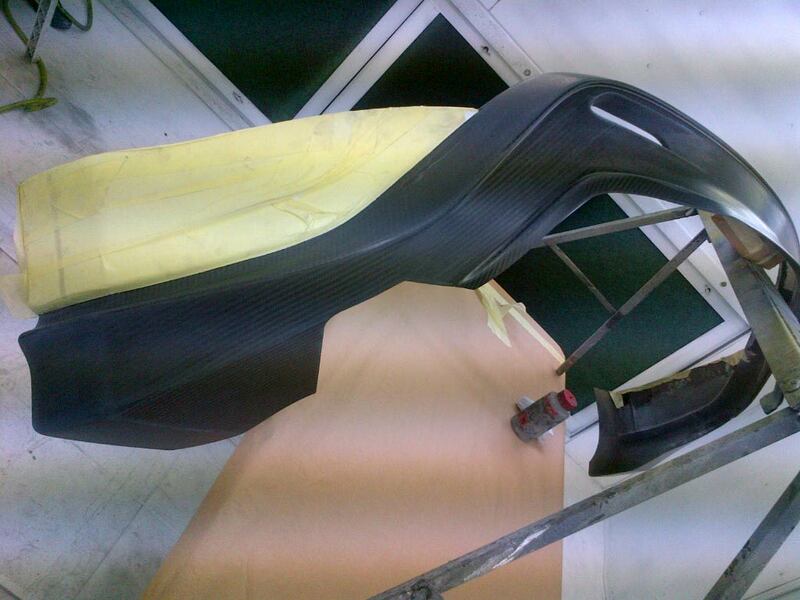 The carbon fibre two piece lower diffuser and upper trim had to be de-bonded from the main abs painted bumper. Then the damaged areas were ground back and wet laminate repairs done on the inside before then having pre-preg carefully applied and aligned to the seen A-surface areas. The parts were then carefully autoclave cured at low temperature and pressure. 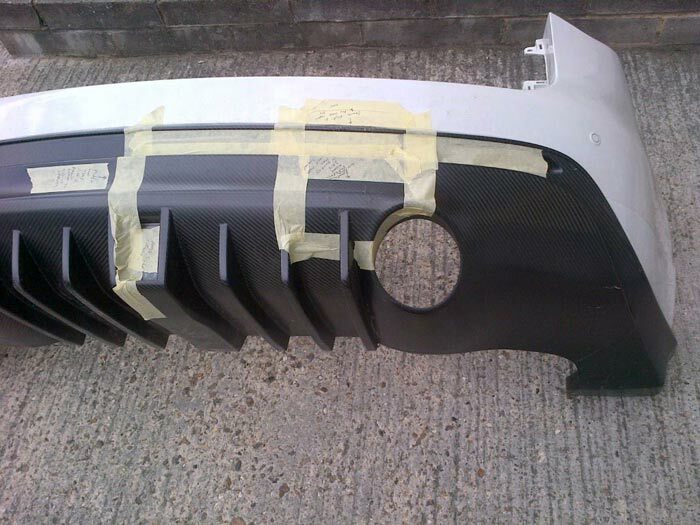 The parts were then sanded and matt lacquered to a very high standard before then Reverie skilled fitters carefully re bonding the carbon fibre parts back to the abs to re make the assembly without damaging the paint work.